Who? 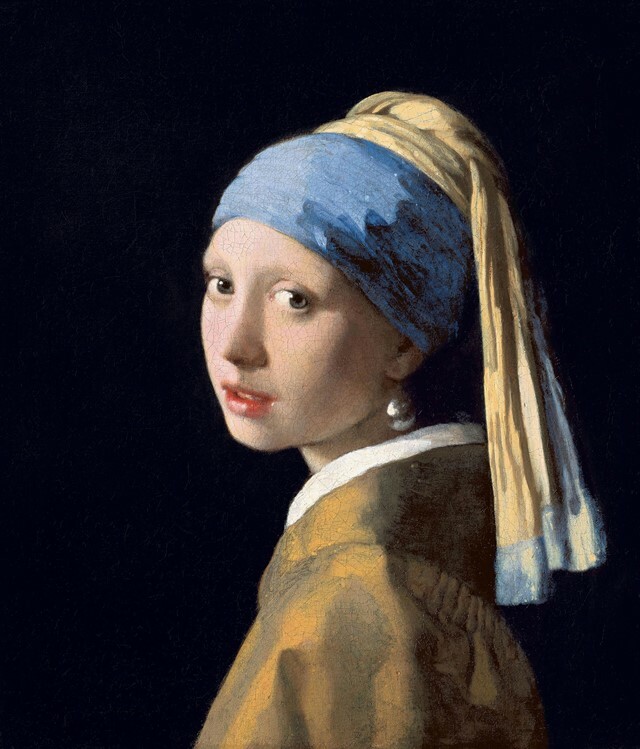 Although only around 35 of his paintings are known to exist, Johannes Vermeer (1632 – 1675) is still considered the undisputed master of ‘genre painting’ – an artform that focuses on the beauty of everyday. His depictions of domestic interiors bathed in soft golden light – not to mention the women who appear in them – are so enigmatic that they seem truly alive. His best known work, Girl with a Pearl Earring, features a young woman’s alluring gaze and has transfixed people for centuries. The painting has since been immortalised in both literature and film; etched indelibly on the public consciousness. 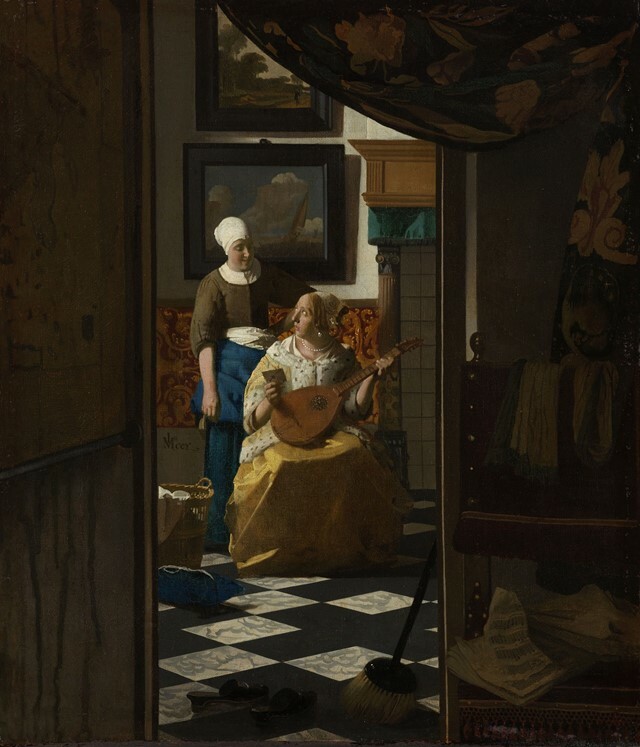 In his painting The Love Letter Vermeer shows a stolen moment between a nervous mistress and her decidedly confident maid. With the latter’s strident pose and confident smirk she is the star of the painting, showing a strength and power that reveals her true character, as well as a familiar relationship between the two women. 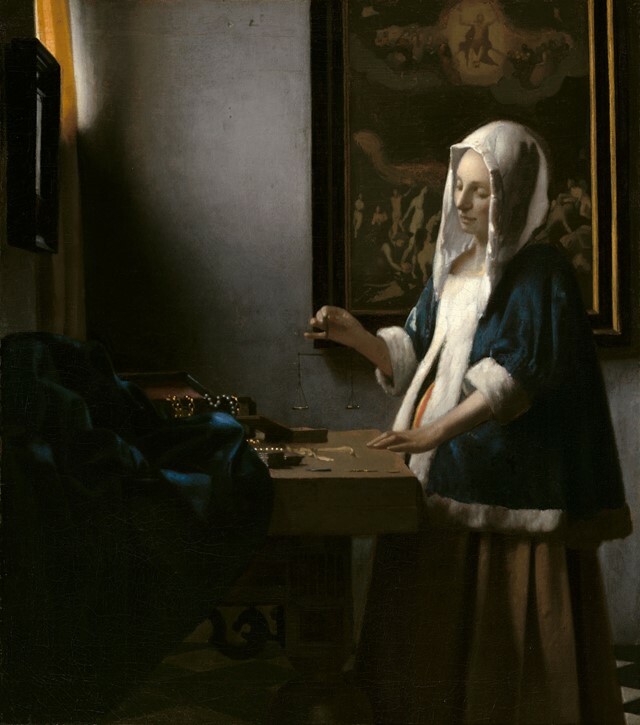 It is this ability to evoke authenticity that shows Vermeer’s true genius. Similarly, in Woman Writing a Letter with Her Maid, it might be the affluent lady that is in the foreground, bathed in sunlight, but it is her attendant who transfixes us with her knowing glance into the world beyond. Woman with a Balance, c.1664Johannes Vermeer. Widener Collection. Courtesy National Gallery of Art, Washington. Why? 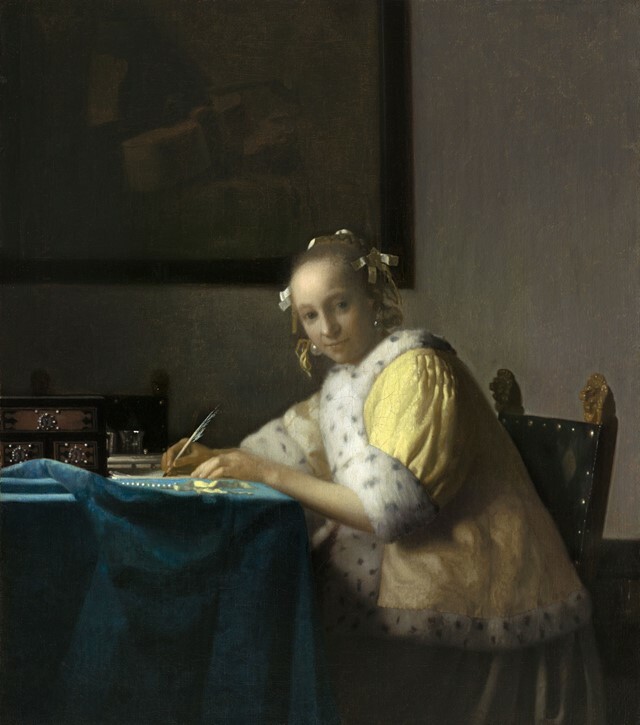 Unlike many of his contemporaries Vermeer refused to compromise his vision. He ignored details that were popular with collectors and partons, such as dogs, children (both moved too much) and more illustrious, aspirational interiors. Instead he focused on his own version of perfection. Which is why, shown alongside his fellow genre painters, Vermeer’s subjects still hold a tangibility which envelops the viewer. 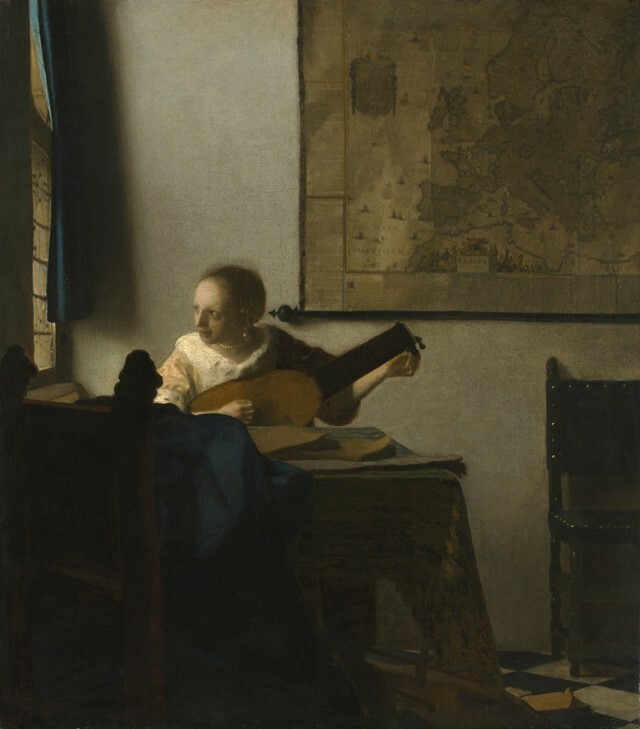 Where other painters’ subjects seem locked in the past, Vermeer’s are living, breathing and thinking. He might be well known for one girl in particular, but his astonishing paintings of multiple women all deserve to be equally recognised. 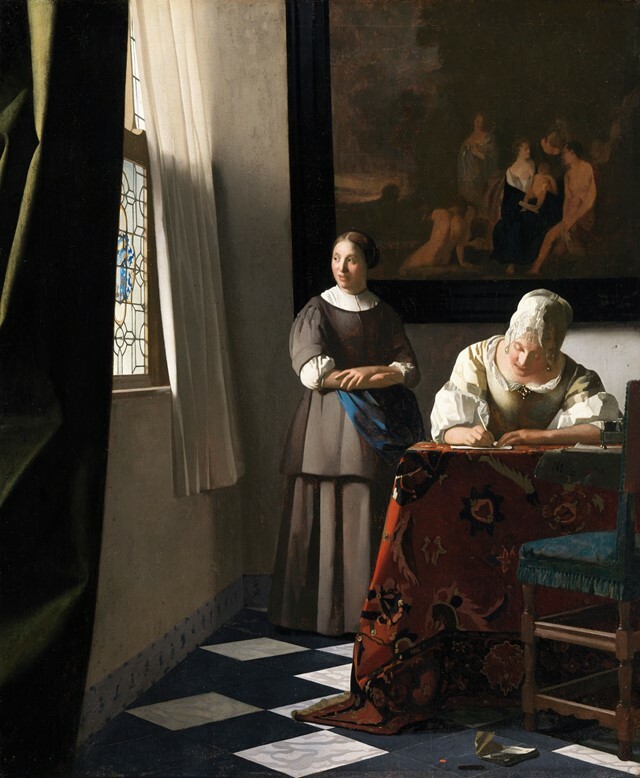 Vermeer and the Masters of Genre Painting: Inspiration and Rivalry opens June 17 and runs until September 17, 2017 at the National Gallery of Ireland, Dublin.